It is equivalent to OE part number AUF214. Wolseley 15/60 1489cc 1956-1961. Wolseley 16/60 1622cc 16AA/16AMW 1961-1971. Wolseley 18/85 1798cc 18C/18H/18AMW 1967-1972. 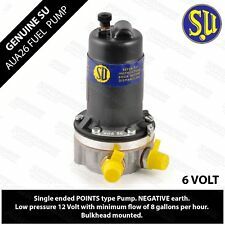 Electronic Fuel Pump. Suitable for Wolseley 15/50 & 15/60. Hardi - German Manufactured Electronic Fuel Pump. 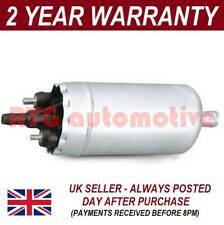 Excellent quality fuel pump manufactured in Germany. LAND ROVER. Solid State Electronics (no more faulty points). WOLSELEY SIX ; YEARS 1972-1975. 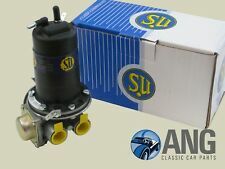 This item is manufactured in the UK by SU (Burlen Fuel Systems) and is suppliedNEW & boxed. 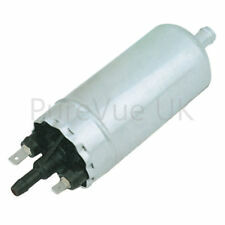 It has the Part No.AZX1307 and can be used with either Positive or Negative vehicles (Dual polarity). It is equivalent to OE part number AZX1307. Wolseley Six Electronic Fuel Pump. Wolseley Six 2227cc 1972-1975. Suitable for negative and positive earth vehicles. Suitable for Wolseley Six. Hardi - German Manufactured Electronic Fuel Pump. 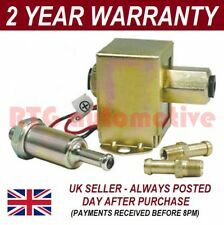 Excellent quality fuel pump manufactured in Germany. PART NUMBER: AZX1307Q-Wolseley Six. LAND ROVER. Solid State Electronics (no more faulty points). Morris Monaco 1964-1975 BMC 1800 4 Cylinder OHV 8v. FUEL & OIL. Austin Princess 1976-1978 BMC 1800 4 Cylinder OHV 8v. grid item 17. grid item 19. grid item 18. grid item 23. grid item 22. Wolseley 2200 (18/22 series) Automatic 1975. Austin & Morris 2200 (18/22 series) Automatic 1975. WOLSELEY 2200(18/22 SERIES) 1975. MORRIS 2200 (18/22 SERIES) AUTOMATIC 1975. LEYLAND PRINCESS 2200 AUTOMATIC 1975on. 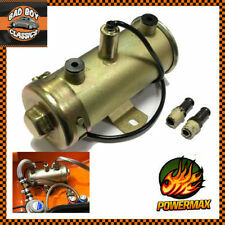 Suitable for carburettor fuel systems up to 2 Ltr. 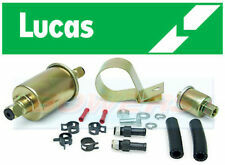 Genuine Lucas fuel pump kit. Replaces Lucas part numbers FDB787 and FDB788. 5A Current Draw. 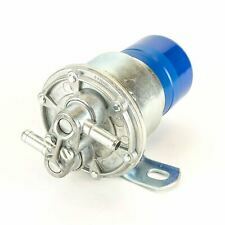 12v Electric fuel pump. NOTE Vehicle compatibility is only a guide to what this universal pump could be fitted to . Wolseley 2200 (18/22 series) manual 1975. Austin & Morris 2200 (18/22 series) manual 1975. AUSTIN PRINCESS 2200 (MANUAL ONLY) 1975-1982. AUSTIN/MORRIS/WOLSELEY 2200 (18/22 SERIES) 1975-. AC DELCO FUEL PUMP TO FIT. PRINCESS 2200 1975-78. P ETROL P UMP PETROL PUMP. FITS AUSTIN PRINCESS. AUSTIN P RINCESS 1 800. AUSTIN PART NO : AUF 817. ONLY 1 AVAILABLE. UNIPART PART NO : AUF 817.